After the last updates that bringed the removal of the healing, does anyone see a reason to bring these guys in a Bandit crew? I have the three painted models, and I'm actually thinking about selling them, since I don't play Jack Dawn and have no intention to do it (I only play crews that I like the miniatures or the lore). I don't see it as a top 3 in Bayou for sure. But it will really depend on the strategies and schemes that will come with GG2019 as well as who you're facing. Against elite crews with very few models, you can "flood" them with summoned models while you keep the focus on your strategies and schemes. Which master are you using? What master does you opponent uses? The Emissary is nuts against things with armor. I though the same, that Toss with Alphonse is going to be great! But it's most likely going to be a single use "bullet"
I think is too late for the change, but I completely agree with you in the Aionus topic, it should had got a TN (requiring 6-8), and most likely move it to Tactical action (he doesn't have any :\). Regarding Tara, I would have loved to see the Timeslip range decreased 1-2" for the teleport and gained those inches for the fast-stealing mechanics. When they flipped both (think that I liked it), it remained a bit inconsistent. But if I'm not mistaken, that's going to be obliteration, at least for a year after launch. I hope they give support/faqs/errata amendment once a year to address small issues like they did with M2E. Of course is far better to have the clearest rules possible, but that's extremely difficult when you have 506 models with thousands of abilities playing in a not-predefined battleground. I never said the opposite. The rules of Warmachine Mk1 were reviewed by a lawyer in order to verify that there weren't loopholes, and there still were some. There are going to be interactions that you haven't though about, and extreme cases like this. Extreme situations like this one that affect 0.03% of the miniatures when they're interacting with another similar percentage... it's not that I'm against fill the rulebook with this kind of issues, but I prefer the simplest, shortest and clearest rulebook possible, because in personal experience, a thick rulebook scares more new gamers, specially when they don't have experience playing this kind of games. Once they're into the game, you can mention the FAQ saying something like: "if at some point you find an interaction that you're not sure how it works, there is a file (FAQ) that you can access online for free where you can check these kind of things". I've started to organize a campaign of an adaptation of Shifting Loyalties to M3E. 26 pages explaining everything, the tables taken from the book and how to maintain balance for people that play less than others. Most common answer from my group or players? OMG, 26 pages? Pfff Well, as far as I understand, 6" is a range since one of the definitions of range (in the dictionary) is "specified distance between one person or thing and another". So for "Beyond Time" and all the abilities that say "Ignore range and LoS", you could easily replace it by "Ignoring the specified distance between the models and LoS". I guess that you mean the Emissary. And yes, since auras affect the model that generates them. I think that there are cases so extreme (like this) that it is better if they're compiled in a FAQ than adding more pages in the rulebook. Nowadays most of card, board and war games have FAQs, specially when they have a big level of complexity and interactions. In my opinion, it's completely the opposite as something bad. Put in on the main subforum, in errors in the cards topic, because maybe here is going to be unnoticed. Slop Haulers are very focused on Beasts now, they are not worth to play outside Ulix. The Lightning Bug is fine, but doesn't bring much. The Bokor has better interactions and brings an Obey, that is not the best ability, but really useful. She is a support model. You probably will have many Wild Shots (at least 4 and up to 9), and she is a good candidate for them. The only thing I'm missing in a Kin crew is someone that can heal in keyword or versatile. Otherwise, I Bokor for 7 is not a bad idea if you can have most of your crew together. That's kind of my point, it's what I suggested in January. They're not a 8ss model, you're forced to pay that because they come with the pig. 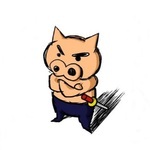 Remove the pig and give him a free corpse marker, so reduce their cost (7ss?) or if they want to keep them at 8ss, give Taxidermist a bit more or survivality. Well, most of our concerns were listened. So Bayou looks in a really good spot overall. Looks like Banjonistas are not going to get any love. Right now I won't see a reason to field more than 1, and they face the same problems as stated, they're a free push to friendly models and do nothing else. I've been playing them in many games since January and nothing have change for them. I still would like to ask for a review of the Gremlin Taxidermist. These guys are not worth 8 points. They cost that much just because they have the piglet with them, which doesn't bring anything special to the table. They're too squishy for a 8ss model, just check other 8ss minions in other factions: Arcanists Shastar Vidiya Guard +1 Df Arcane Shield Hard to Kill Sabertooth Cerberus Terrifying 11 Tear off a Bite Slate Ridge Mauler HtW Juggernaut Tear off a Bite Gunsmith -1 Wd HtK to Df thanks to Unionized Steam Arachnid Swarm +1 Wd Armor +1 Evasive Devourim Swarm Guild Hunter Armor +2 Death Marshal Recruiter HtW +1 Df Unnatural vigor Witchling Thrall Absorb the Flame HtW Neverborn Rougarou -1 Df +1 Wd HtW Eat your fill Shrug Off Geryon HtK Frozen Vigor Swallow you Whole Reform from Ice Extended Reach Resurrectionists Kentauroi -1 Df +1 Wd HtW Perverse Metabolism Shrug Off I could keep going, but the point is there. The taxidermist are more a 7ss model than an 8ss model. They need to suffer damage from friendly model to take advantage of the 100% of their card, but die too easy for their cost.